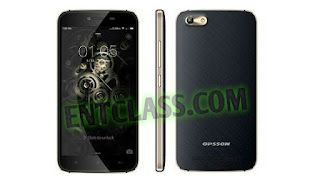 Opsson Iron M has been officially launched. It's a midrange smartphone. It's an Android phone running on Android 6.0 Marshmallow and fueled with Quad-core clocking at the speed of 1.3 GHz. Opsson Iron M is a 5.0inch smartphone, designed in full Metallic body, packs a 4000mAh battery capacity with fast charging ability. Have a look at the detailed specifications and features below.